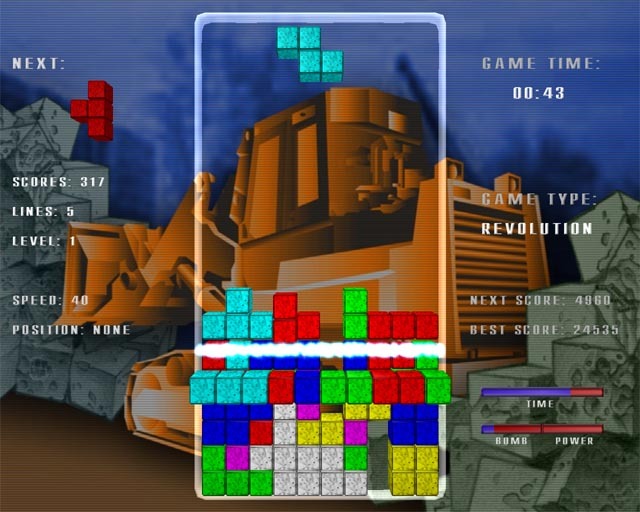 Tetromino Revolution - A real revolution in the Tetromino world! 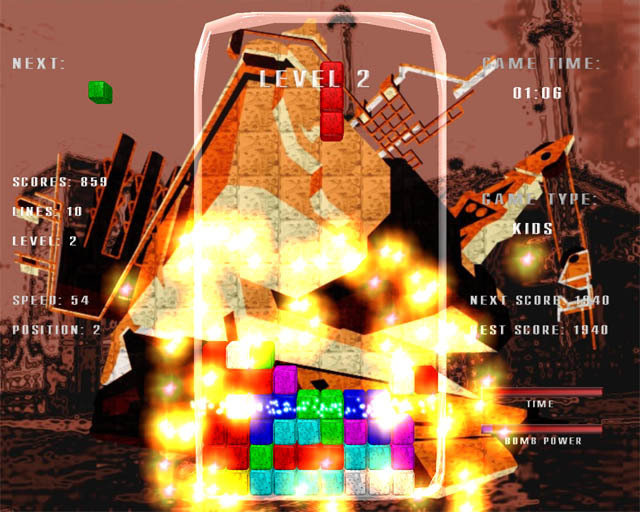 This game is yet another 3D remake of one of the best all-time classics in the history of PC games - Tetromino. BUT it is in fact LIKE NO OTHER! It's got absolutely fantastic 3D industrial style graphics, it's got 5 different game types to suit any kind of player: Revolution, Pentix, Emptix, Kids and Retro, it's got superb stereo sound. Well, it's got pretty much everything you can think of: various shapes of blocks, numerous bonuses, explosives to get rid of unwanted blocks, etc. 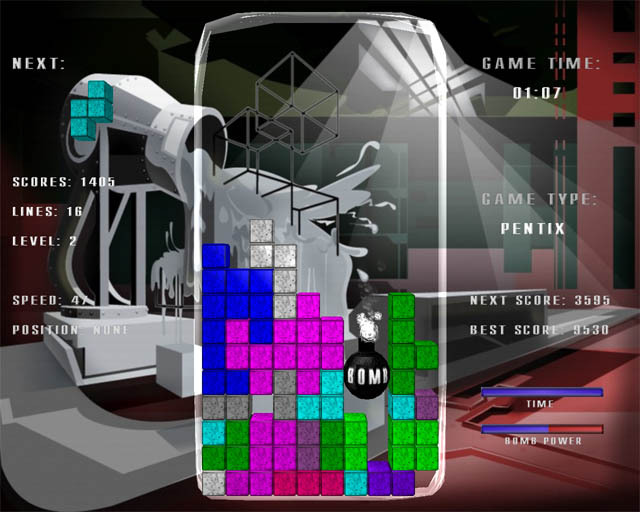 This will change your idea of what a proper tetromino game should be like. A real revolution in the Tetromino world!